I published this piece few days ago in The Daily Beast-Open Zion , only few hours before the recent escalation in Gaza. Now I added a postscript following the recent events. Hopefully Later I will write more about Gaza, Israel and Hamas. Complete or incomplete, eroded or collapsed, it’s hard to follow analysis from Israel without hearing the old—yet appealing—term “deterrence.” Since the start of its conflicts, Israel built a deterrence-based strategy to deal with Arab neighbors. The core aim was simple: to discourage Arabs from initiating hostile actions. The strategy has worked to an extent and Israel gained a significant psychological advantage, as all wars were fought on Arab territories without direct threats to Israel’s mainland. This has always put Arabs aback, made them vulnerable and eager to avoid uncalculated escalation. Overall, the deterrence was perceived as adequate and, most importantly, cost-effective. That was the past and present tell different stories. The current escalation in Gaza and the barrage of rockets towards the south of Israel has brought the concept of deterrence back onto the agenda of Israeli military minds with suggestions like, let’s “re-format Gaza altogether.” In order to “re-format,” however, it is crucial to understand how formatting went wrong in the first place. It all started with a series of unilateral measures, namely the invasion of Lebanon in 1982 and the disengagement from Gaza in 2005. But the unilateral moves never worked. By 2006, the collapse of deterrence was complete, with the surprise kidnapping of Israeli soldiers and the consequent war with Hezbollah. For the first time, Israel went to a full-scale war with a non-state player and the outcome was less decisive. Hezbollah managed to create a perception of invincibility. What worked against Hezbollah is the fact that it functions within a state—Lebanon—giving Israel the opportunity to retaliate and flex its muscle, forcing Hezbollah to accept terms to end the war. Nonetheless, Israel’s deterrence was severely eroded, persisting, but only just barely. In Gaza though, Israel faced a non-state player that existed in a territory that was not within a formal state. The bold Palestinian militias started to learn and use Hezbollah’s tactics. The Winter 2008 and 2009 Gaza war—known as Operation Cast Lead—was not effective in restoring stability and it only created a sort of mini-deterrence that offered an interrupted, short-term break from hostility. As a result, Israel lost the initiative and became reactive, not proactive. There was now no victory, no deterrence, and plenty of condemnation. Currently, as ideas about a “re-format” begin to gain support, many Israeli politicians are advocating a ground operation of some sort, although none of them have articulated a clear endpoint or explained how things this time would yield a better result than 2009. Without controlling the Philadelphia corridor between Sinai and Gaza and preventing arms smuggling, Cast Lead II would end up like Cast Lead I: a temporary break at a hefty price in terms of innocent loss of lives, international isolation, plus the new possibility of Egyptian retaliation, and even perhaps revocation of the Camp David accords. Going to war, however, is not the only option. There is potential for a political out, as some analysts advocate, including Khalid Elgindy of Brookings. A smart move would address both elements of the problem: the lack of a state that Israel can deal with and the non-state players. The solution for Gaza is two-fold, a conditional acceptance of Mahmoud Abbas’s U.N. bid in return for demanding that the Egyptians reinstate the U.N.-recognized Abbas government in Gaza and empower his security team to run the Rafah border. In addition, Israel announces its willingness to engage with the emerging Sunni alliance—Turkey, Qatar, and Egypt—to formulate a plan to dismantle Gaza militants’ military capabilities in return for lifting the siege. Such a gambit could snooker Hamas supporters into either accepting the deal, offering alternatives, or a rejection, which would make them appear to be the opponents of a political solution. It is time for the Israeli leadership to recondition their thinking process and adopt new pragmatic strategies towards Gaza. Any truce with Hamas would not be sustainable, and “re-formatting” would be a very costly option. The U.N. bid could be beneficial to Israel, an opportunity for Benjamin Netanyahu to change the stalemate and adopt a proactive approach that fits in with the current dynamic in the Middle East. But is he willing to take it? Neither side seems to be interested in a long-term solution. The best outcome they are after, is a ceasefire that each side would translate as a victory. Netanyahu will tell the Israelis that they could finally sleep at night, while Hamas would convey to the people of Gaza that they did not surrender to the Israelis’ bullying. However, ceasefire would not solve Gaza’s long-term problems. As I mentioned above, Gaza’s problems started with two unilateral steps: Israel disengagement and the Hamas coup against the Palestinian authority. This is precisely why Gaza is in desperate need of a political solution. This solution may sound unrealistic, but all bold steps in the history of the conflict looked unimaginable at its time: Sadat’s trip to Jerusalem, and Arafat and Rabin shaking hands at the White House. Currently, the big players are Israel and Egypt and The United States. Netanyahu should understand that it is time to reverse his alienation policy towards Abbas, while Egypt should stop favoring one side in the Palestinian arena. Today, Egyptian Prime Minister Qandil called for Palestinian unity — I hope he meant it. As I tweeted several times, I am not advocating the imposing of Abbas on Hamas; I think Hamas should embrace Abbas and his UN bid. Joint leadership in Gaza is the only way forward through the siege. This is the solution if effective treatment is truly the ultimate goal, but I am realistic enough to admit that, in my part of the world, leaders don’t seek solutions; they only offer pain killers, and emotional manipulations in order to claim fake victories. Tonight, it seems, a ground operation may happen soon, precisely because the era of deterrence has ended long time ago. This entry was posted in Egypt, Gaza, Israel and tagged Egypt, Gaza, Hamas, Israel, Pillar of defence, politics. Bookmark the permalink. it would seem that the solutions you suggest depend on the assumption that HAMAS is a reasonable and pragmatic organization that is willing to abandon it’s maximalist positions regarding israel, peace, abbas etc. But we have heard them time and again telling the world that they will not stop until all of “historic palestine” is liberated, that this can be achieved only through armed struggle, that all previous international accords are worth nothing etc. 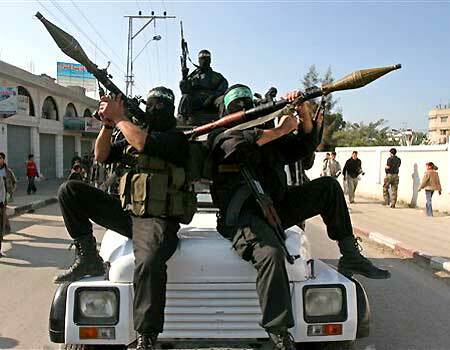 Do you really feel that a more pragmatic and moderate HAMAS leadership will somehow materialize in the near future?